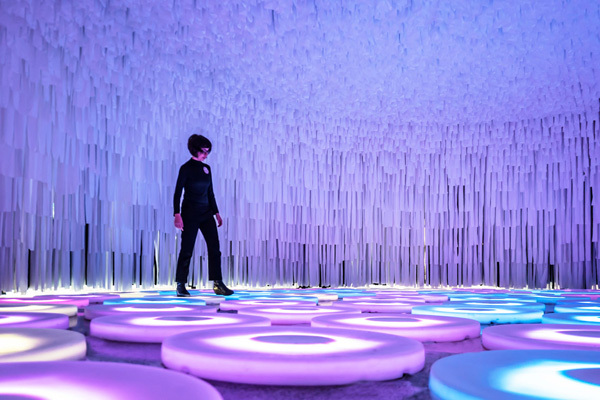 Located within the Colombo shopping mall in Lisbon, Portugal, architect LIKEarchitects created an exhibition space entitled wonderWALL to house The Pool by Jen Lewin. 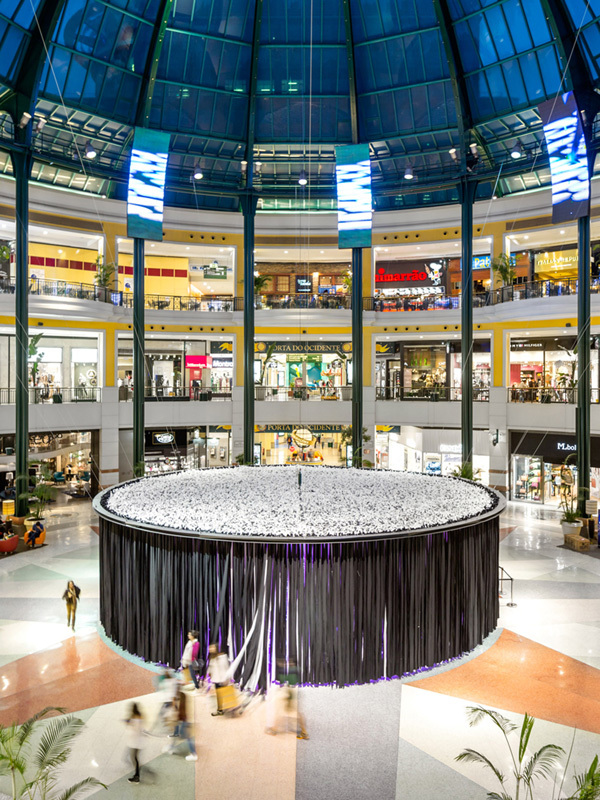 The cylindrical space spans 14feet in diameter within the center of the mall. 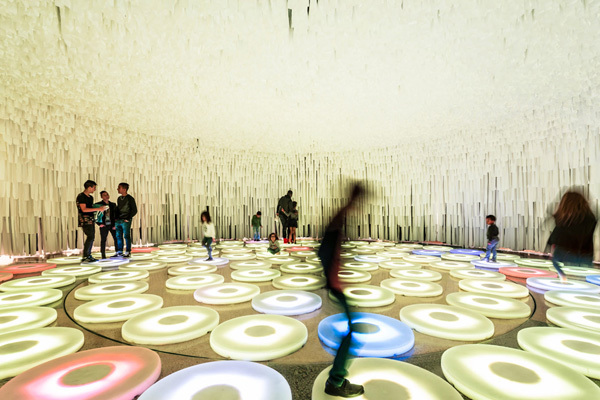 It is defined by 20,000 strips of white and black fabric which are suspended from circular framework. The radial arrangement creates visual interest and a unique texture both inside and out. The flexible nature of the fabric allows guests to penetrate through, the movement of which creates oscillating airflow. 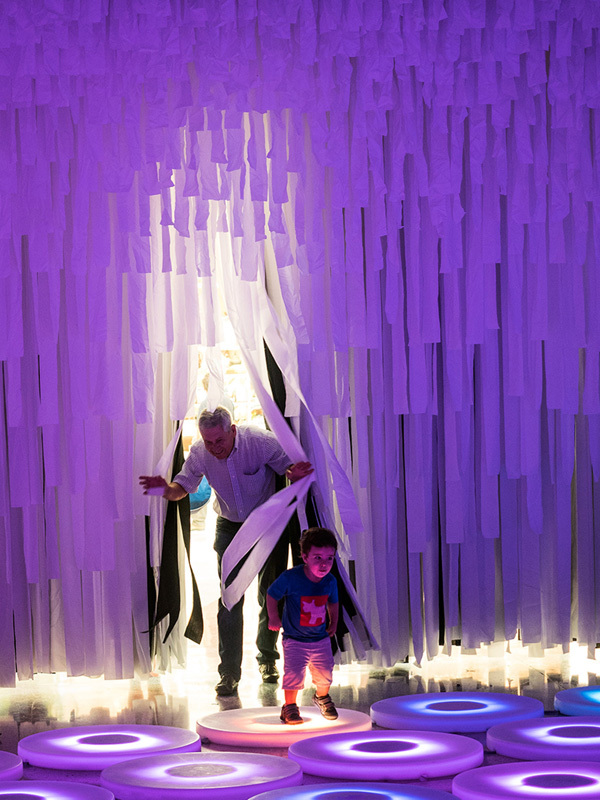 Once inside, guests are able to interact with the art installation. 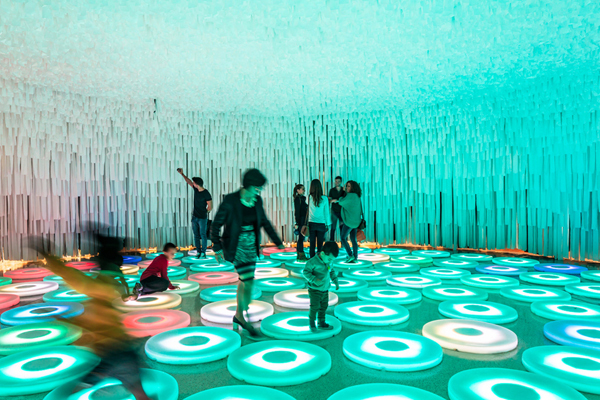 The “pools” change color in chromatic variations as guests step, run or jump across them, the light of which is contained and reflected by the white fabric of the surrounding wall. Outside, peeks of colored light escape through the façade.